At Naturahealth we feel that understanding the treatment and how it will potentially help you acheive your health goals is important. This is why we have written a brief synopsis of the various treatment options available. By giving the body nutrients via the bloodstream we are able to bypass the gastrointestinal tract and allow the cells of the bodies tissues quicker and easier access to the nutrients they need. When you eat food or take supplements not everything is fully absorbed. If you have diarrhea, constipation, or other disorders of the GI tract your body may not be absorbing the nutrients at all. 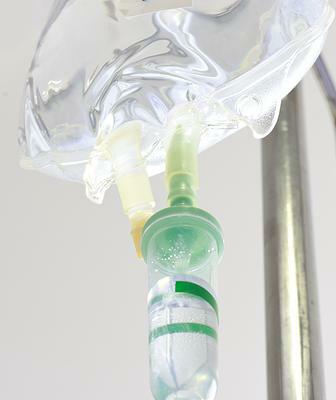 IV nutrient infusions can be tailored to your specific condition and health concern. They are often used for gastro intestinal disorders, acute viral/bacterial infections, adjunctive therapy for cancer, boosting the immune system, hasten recovery from surgery, and boost athletic endurance and recovery. The majority of people tolerate IVs very well; however there are some who have allergies to specific ingredients. If you have allergies to any IV nutrients, IVs may still be given though without that particular ingredient. Others diagnosed with high blood pressure, cardiovascular disease, congestive heart failure, liver failure, and kidney failure may benefit from IV therapy though treatments will be modified. Those diagnosed with G6PD deficiency cannot receive IV vitamin C.
Contains aspects of all IVs in 1 bag! Supports detox, hydration, energy, mood, and immunity! Decreases inflammation and aids the body in the excretion of toxins. Best when used with a cleanse. Great for post work-out recovery, dehydration, and symptoms of over indulgence! Helps to prevent and treat colds and flus! Based of the Myer’s cocktail, simple and effective.